The guildfordgardencentre.com.au website is owned and operated by Guildford Town Garden Centre. Your access to this website and all products sold on this website are subject to the Terms and Conditions detailed below. Nothing mentioned in the terms and conditions affects your statutory rights. Guildford Town Garden Centre reserves the right to make changes to the Terms and Conditions. All our plants on this website are sourced from the same growers as those instore. Whenever possible, plants are sourced from NGIWA growers in Perth or an equivalent accredited interstate grower. We make every effort to ensure to ensure that the products we supply correspond as closely as possible to the samples and pictures we display on our website, in promotional materials and in our store. However, there may be variations as natural and handmade materials have unique characteristics and are rarely uniform. No responsibility can be accepted for these variations. We consider these variations to add unique features to the product. In some conditions, the suitability, colour, size and growth rate of plants may vary. All information provided on site and instore is offered as a general guide to how the plant will grow and perform. In giftware, sundry and furniture, measurements are approximates only. Please allow up to 2cm variance in measurements. Please be aware that colour may vary slightly from the monitor display. Variation may occur between shipment batches as many materials will contain slight differences due to numerous reason. Variations in colour are more likely if items are ordered at different times. Metal and timber products are not treated against aging. You should take steps to care and protect your purchase according to your needs. Some products are artificially aged or finished in order to appear aged or stressed. These products may have slight variations or imperfections which are not deemed as defects and are considered a natural part of the product. We reserve the right to alter the measurement, specification and other minor external details where necessary. Garden products such as fertilisers, fungicides, wetting agents, manures, potting mixes and mulches have detailed information for use on their packaging. Please ensure that the recommendations and uses stated by the manufacturer are suitable for your needs. Excluding gift vouchers, all prices are in Australian dollars and include GST. Gift voucher prices are in Australian dollars and GST is included in the products purchased when redeeming the gift voucher. Prices exclude delivery charges unless otherwise stated. Prices quoted on this web site are subject to change from time to time at the discretion of Guildford Town Garden Center. You may make payments for purchases using Visa or Mastercard, or direct transfer to the Guildford Town Garden Centre account. Cardholders are subject to validation checks and authorisation by the card issuer. If the issuer of your card refuses or does not, for any reason, authorise payment to us, we will not be liable for any delay or non delivery. By supplying the card details for a purchase, you confirm that the card being used is yours. Your orders will be considered binding as soon as the Guildford Town Garden Centre accepts the order. All orders are subject to availability and delivery accessibility. If you have ordered a product which is out of stock, we will attempt to reorder the item and dispatch it to you as soon as the item becomes available. If the item has sold out or is no longer available, we will notify you and arrange a refund or replacement product. You are responsible for ensuring that your details and all information supplied in your online orders are correct and that the goods are suitable for your requirements, including specifications, measurements, dimensions, product features, access and delivery. Please ensure that you select your products carefully as no exchange or refund will be issued for incorrectly ordered products. Orders received after 1:00pm (AWST) will be processed the following working day. All purchases can be collected from Guildford Town Garden Centre. Delivery is subject to receipt by Guildford Town Garden Centre of payment in full for the goods and delivery fee. Deliveries are only for selected zones within the Perth metropolitan area for all items. Please ensure that you select your products carefully as we will not exchange or refund products simply if you change your mind. Any orders cancelled once a confirmation email has been received by Guildford Town Garden Centre will incur a 10% administration fee. Returns may be initiated by first contacting the Guildford Town Garden Centre via phone or email. Returns and exchanges will be assessed on an individual basis. Returns directly to the store without prior contact will not be accepted. Returns must be packaged securely, free of damage and where applicable in its original packaging. Proof of purchased is required. A refund or credit may be offered. Upon delivery, you are responsible for checking products carefully. Any visible defects must be reported to Guildford Town Garden Centre immediately. We will not accept liability for visible defects not reported within 3 days. If you believe that any product is of an unsatisfactory quality, please contact Guildford Town Garden Centre immediately and treat the product with the utmost care while your claim is being investigated. All returns for damaged products must include the product securely packaged and proof of purchase (invoice or receipt). In operating the website, Guildford Town Garden Centre collects personal information about you within the meaning of the Privacy Act 1988 (Cth). You may check the information that we hold about you by emailing us. In addition to consenting for us to check your creditworthiness and processing your orders, the personal details and data you submit and records of your visit to our website, will be used to monitor and improve our service and facilities to you. To properly process your order, we have to store your data and details, and provide certain aspects of this data and details to third parties who are directly involved with the processing of the order. By placing an order with us, you agree to your data being processed by Guildford Town Garden Centre and its agents. Your information will not be used for marketing purposes unless you elect to receive marketing information from Guildford Town Garden Centre at the time of purchase. By consenting to receive marketing information from Guildford Town Garden Centre, you may from time to time receive, newsletters, offers, specials, email promotions and other material directly related to the Guildford Town Garden Centre. We will respect the privacy of your personal data and details and will comply with the current and relevant data protection and privacy legislation. We will not disclose your personal data to anyone, unless required to do so by court of law. By using this site you consent to the collection of information by Guildford Town Garden Centre. If you choose to update your personal information or if you choose to unsubscribe from our marketing programs please contact the Guildford Town Garden Centre. Gift Vouchers purchased from Guildford Town Garden Centre are only redeemable in store or online. Promotional vouchers cannot be used to purchase Gift Vouchers. Gift Vouchers cannot be exchanged for a cash advance. Treat your Gift Voucher like cash. Lost or stolen vouchers may not be replaced or refunded. When the cost of purchase exceeds the value of the Gift Voucher, you will be required to make up the difference. These conditions of use may be varied from time to time. We will take all reasonable care to ensure that details, descriptions and prices of products appearing on the website are correct at the time when the information was being uploaded to the website. Information on the website may not always reflect the position exactly at the moment you place an order. We reserve the right to alter information as required. You recognise and agree that all copyright, database rights, trademarks and all other intellectual property rights in all material and / or content of this website is owned by Guildford Town Garden Centre and shall remain at all times vested in us or our licensors as expressly authorised by us or our licensors. Guildford Town Garden Centre makes no endorsement, approval or recommendations of the owners or operators of any external website with a link on this website. 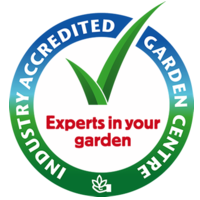 Guildford Town Garden Centre makes no warranty or representation, expressed or implied and accepts no liability with respect to the information or materials on any external sites with links on this website.